How could I sum this up in a single word? Unprecedented? Huh-uh. Inconceivable? No, and I’ve been watching too much The Princess Bride. Stupendous? Nope. Ah, yes. FINALLY! You have been able to watch Amazon Instant Movies on a computer. You could buy a Roku player and watch them there. Mobile users could watch Amazon movies on a Kindle Fire. Heck, you could watch them on a desert island with a Samsung TV and an Internet connection (and really, what could be more appropriate than Cast Away). But, for the first time on Tuesday, Sony announced that you can finally watch Amazon Instant Videos on your Playstation 3. While I have a growing collection of Blu-ray discs and an old collection of DVDs, most of my viewing is done through one online service or another. Amazon has great quality on their downloads, and they seem to be priced better than some of their competitors. Their selection is outstanding, so if I’m not finding something interesting on Netflix, I’m using renting or buying it from Amazon. Plus with the processing power on the PS3, I’m curious to see if the quality will be even better than on my Samsung TV. Generally, I find that’s the case with Netflix, so it only stands to reason that Amazon will have better quality that way as well. 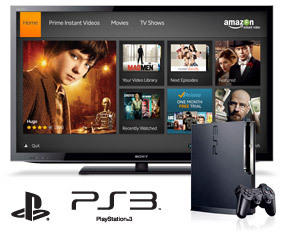 For more details, you can check out the information on PS3 Instant Videos at Amazon.com. 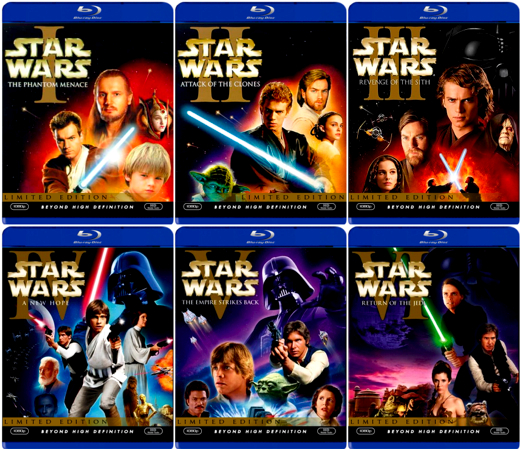 Star Wars on Blu-ray now! Yes, George Lucas, you get my money again. First, you didn’t release Star Wars on DVD because you didn’t know if it would be a legitimate medium. I bought the VHS versions. Then you released the mastered versions on DVD. I bought them on DVD. Then, you released the original versions which were never available before on DVD. I bought those too. Just when I thought I was all done handing George Lucas my money, LucasFilm announced the release of all 6 episodes of Star Wars on Blu-ray Disc, which will be available September, 2011. Lucas said they will sell for $139.99 for the complete set, but you can (at the time of this writing) save 50% if you pre-order StarWars from Amazon.com. Yes, I did already pre-order mine. Yes, George Lucas, you get my money one more time.